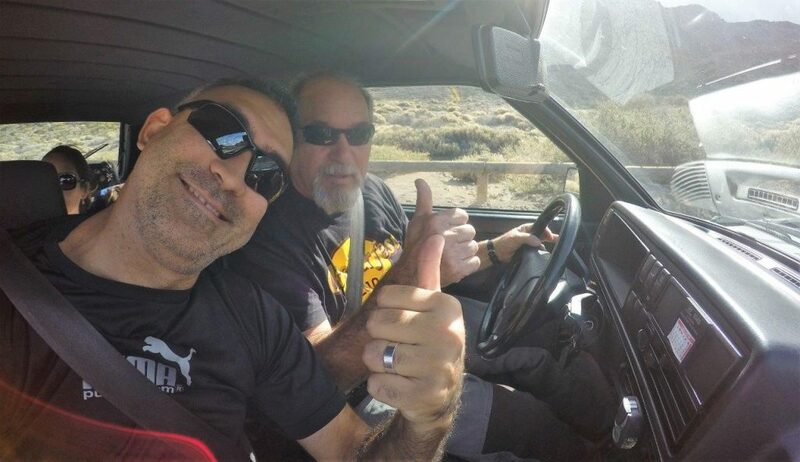 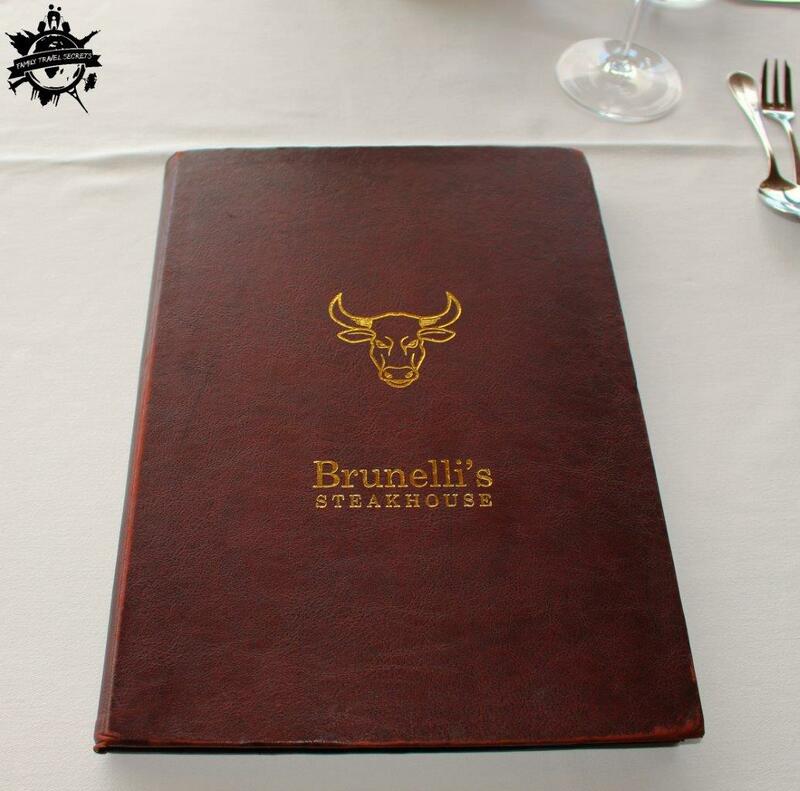 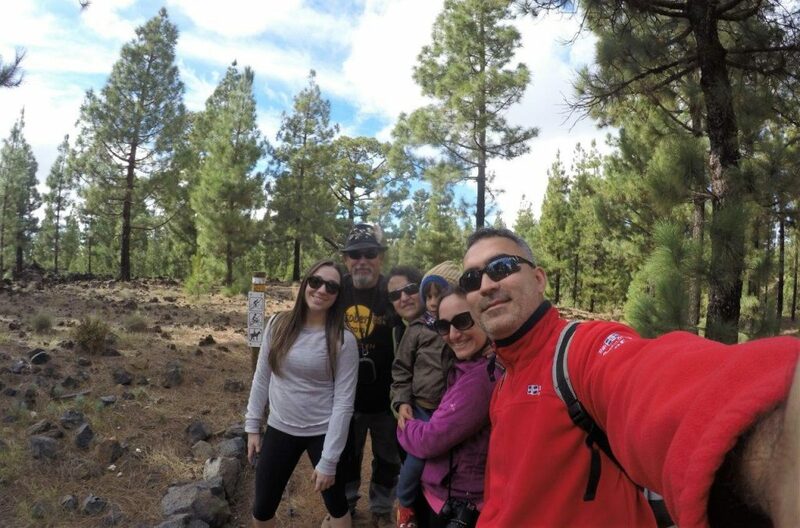 We had just finished our world trip and we took a few days to relax and recover from the physical exertion of so many months of visits and adapting to new places. 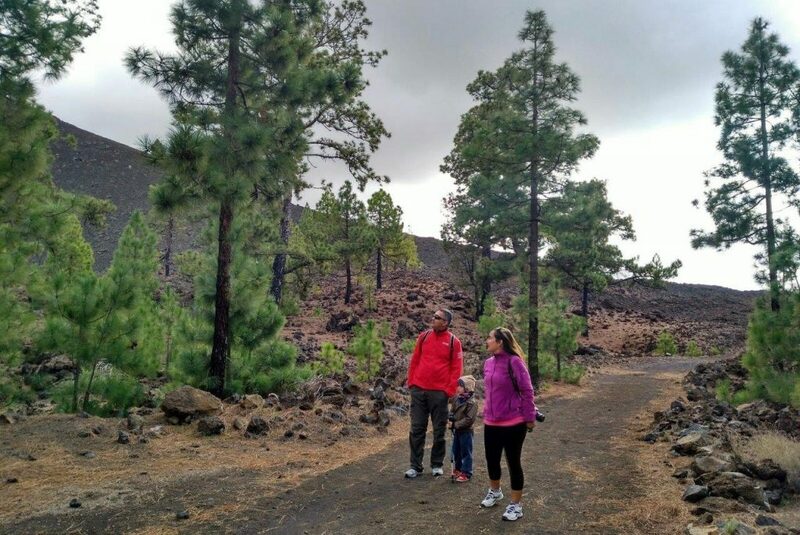 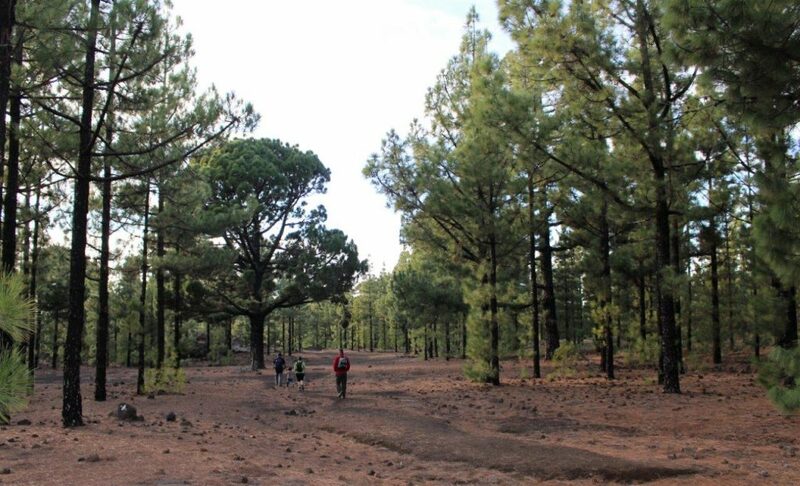 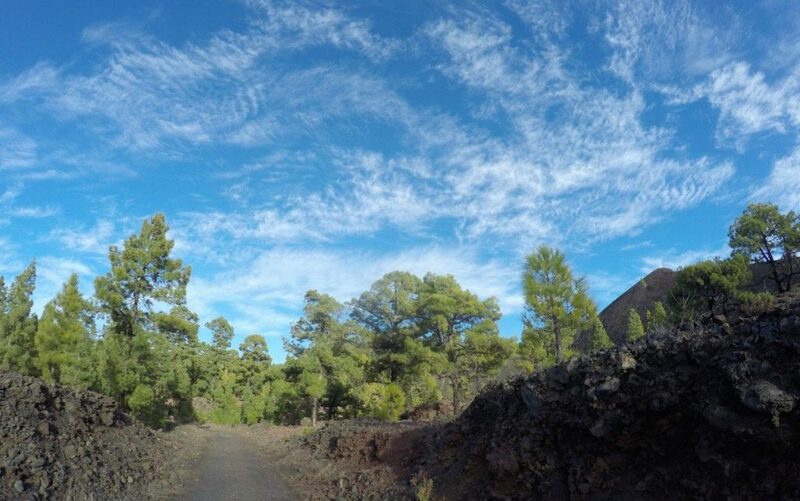 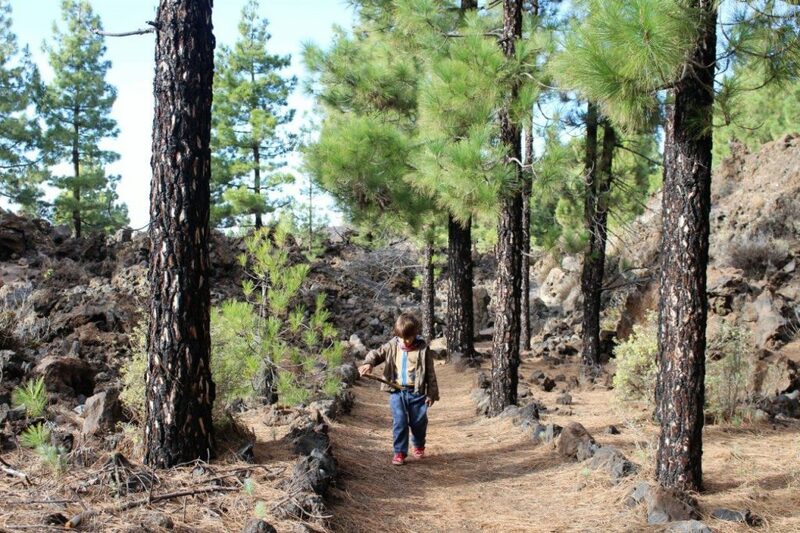 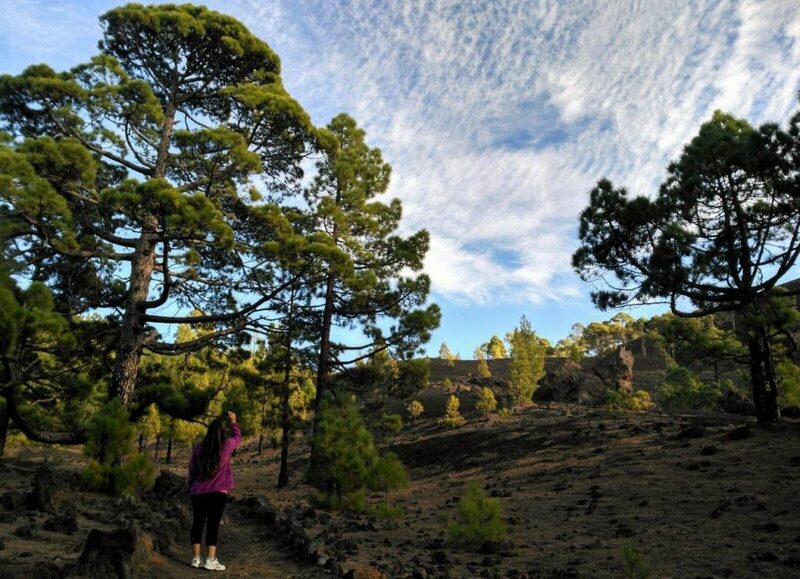 On our second weekend in Tenerife we finally had enough energy to go out again and explore new spots to share with you, such as the sendero Circular del Chinyero volcano. 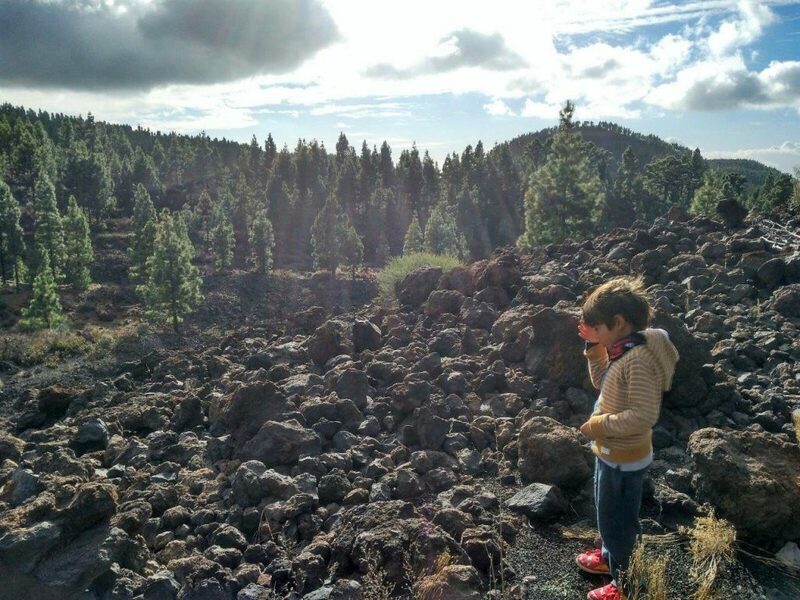 Noah had had a bit of a fever for a few days and we hadn’t wanted to risk using up all his energy, but on that Sunday he seemed to wake up feeling much more lively. 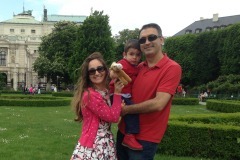 With him feeling better we all got ready to go for a nice day out. 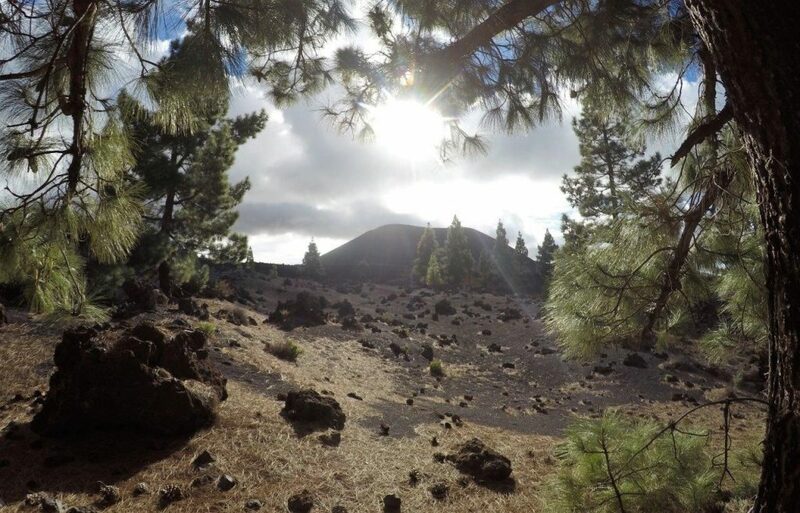 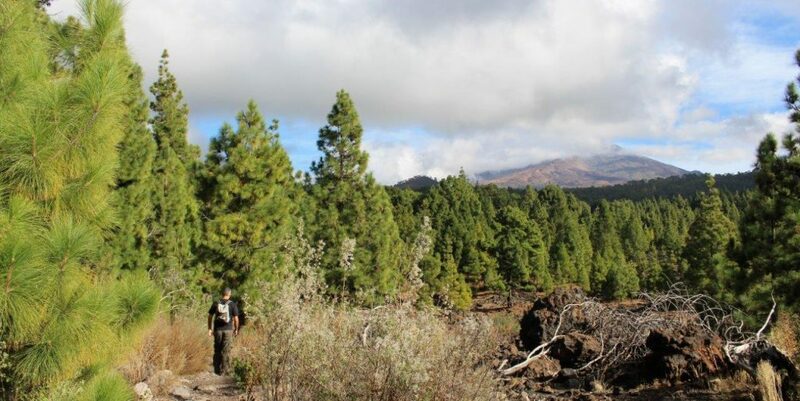 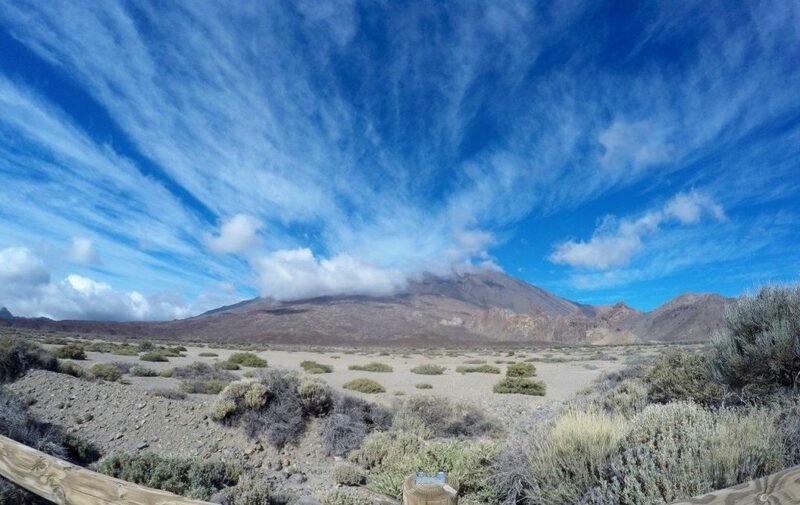 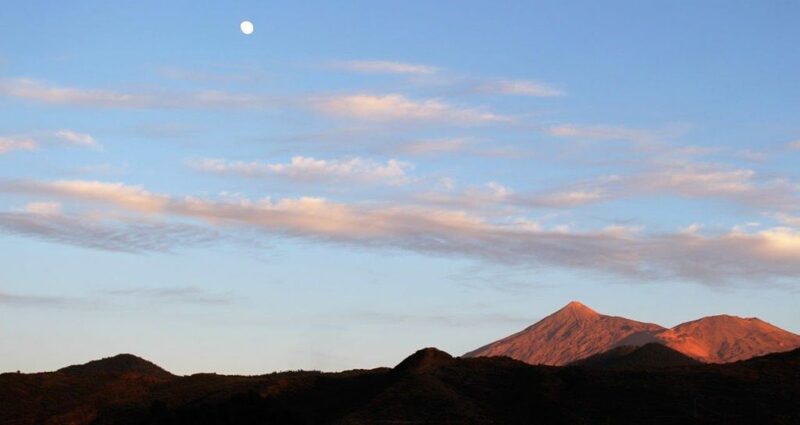 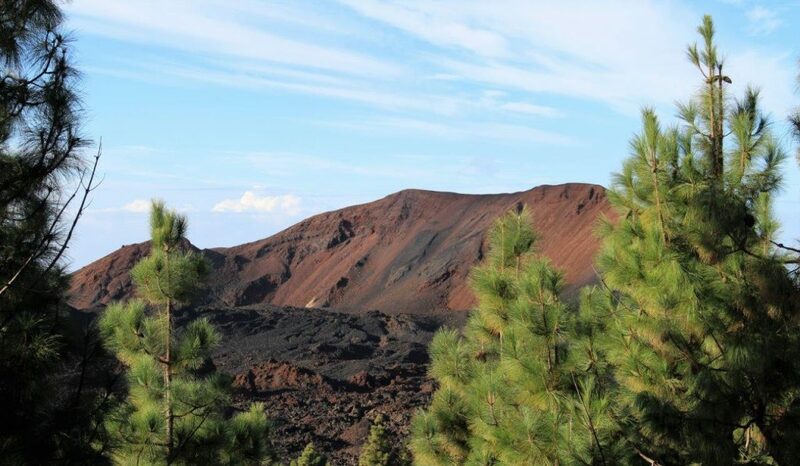 Chinyero volcano is located inside the Las Canadas National Park, where we were able to spot up closer the father of all volcanoes in Canary Islands, El Teide. 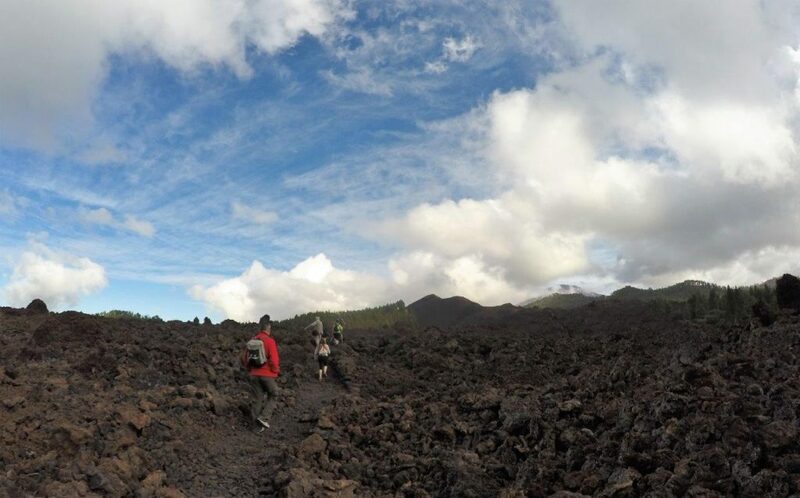 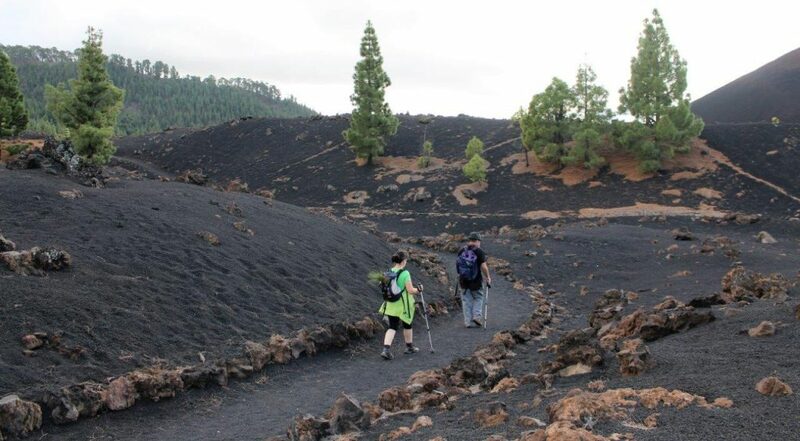 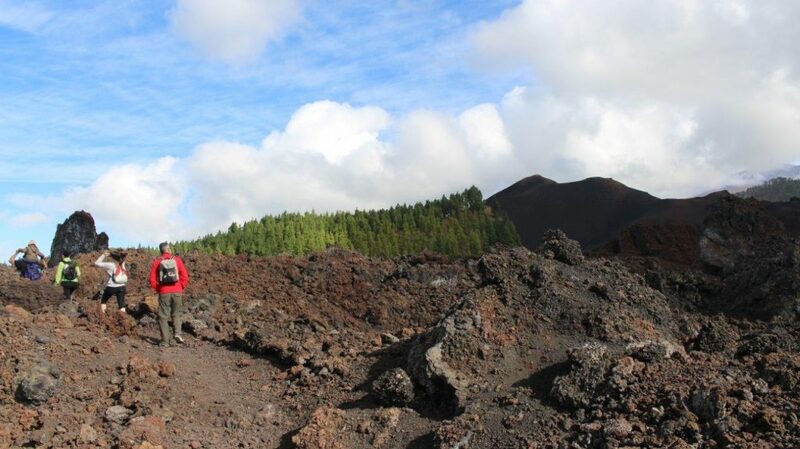 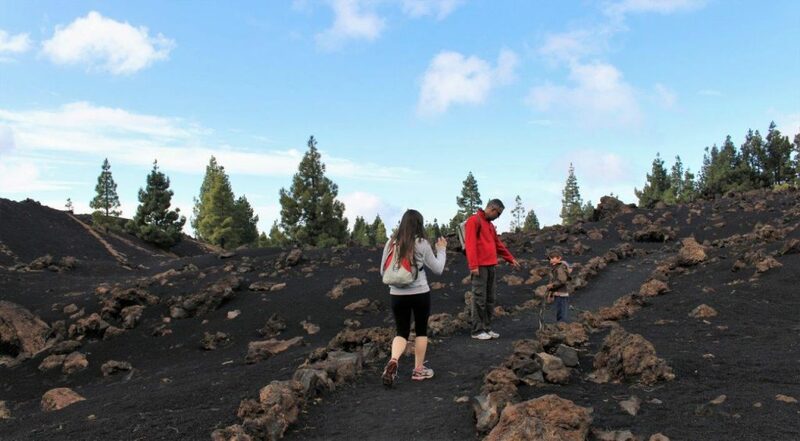 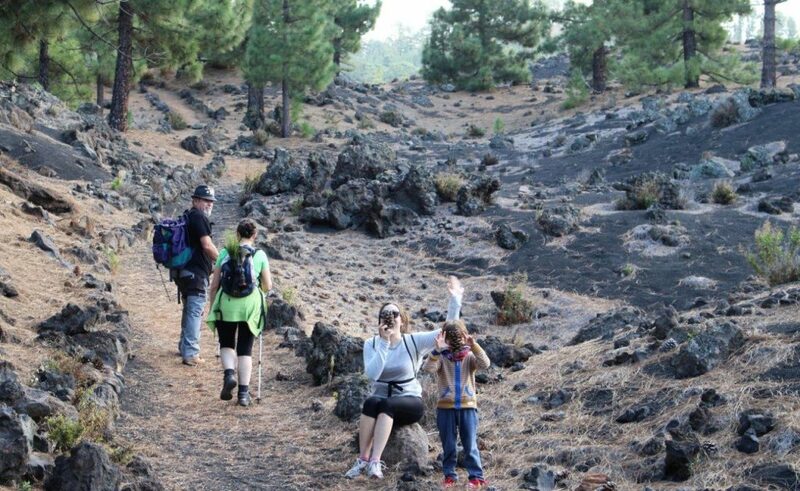 A tour around the Chinyero volcano is quite easy and doesn’t take very long. 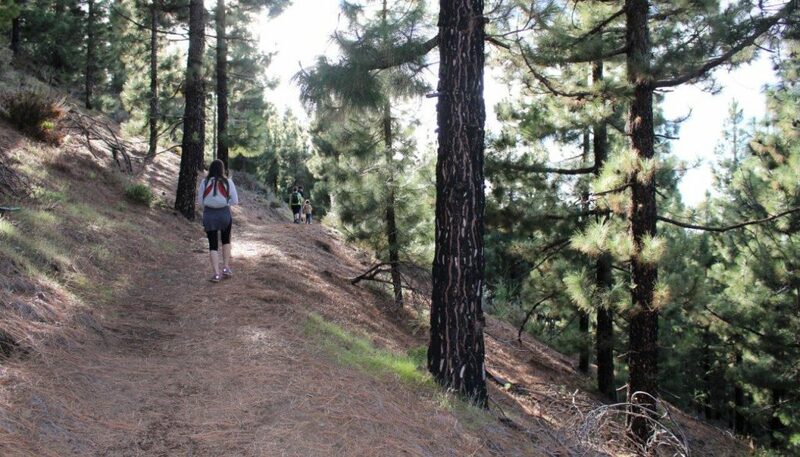 In approximately three hours you can circle the whole thing at a relaxed pace and enjoy the varied landscapes that you’ll find there. 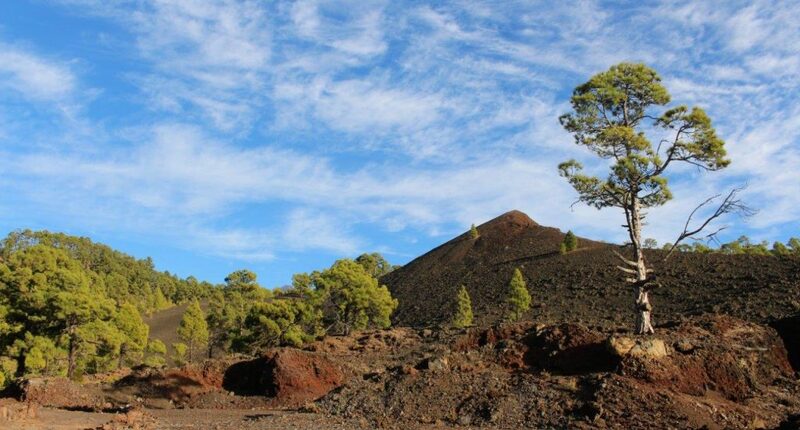 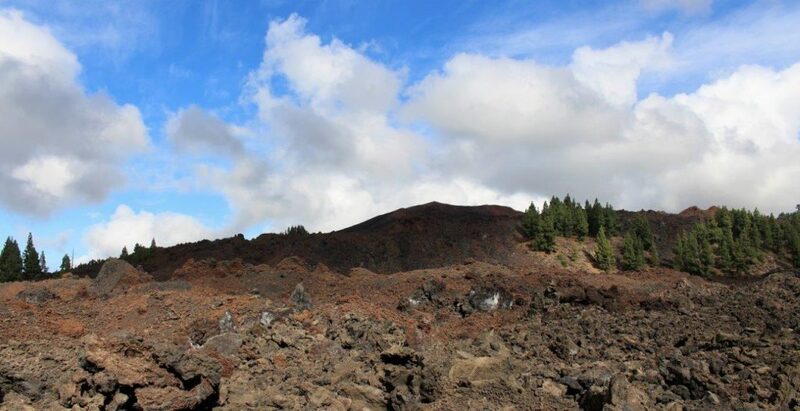 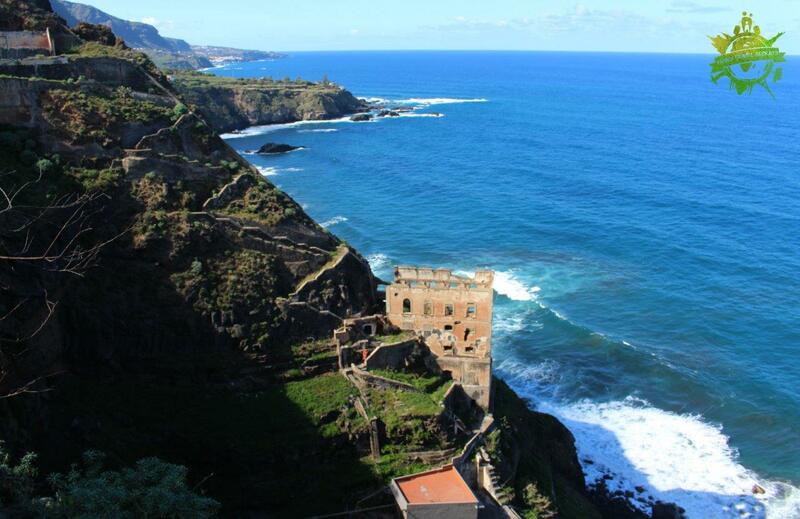 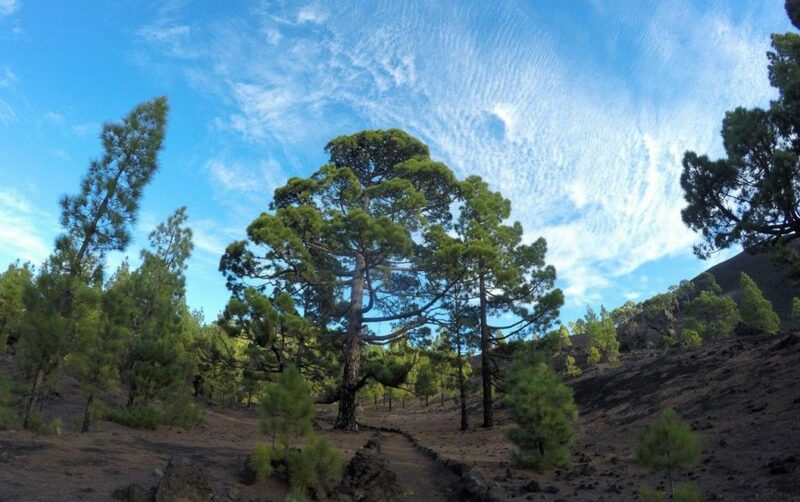 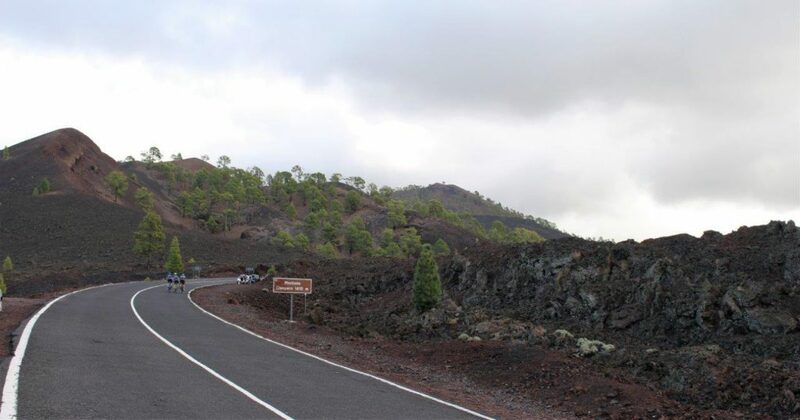 The Chinyero volcano was the last volcano to erupt in Tenerife, in 1909. 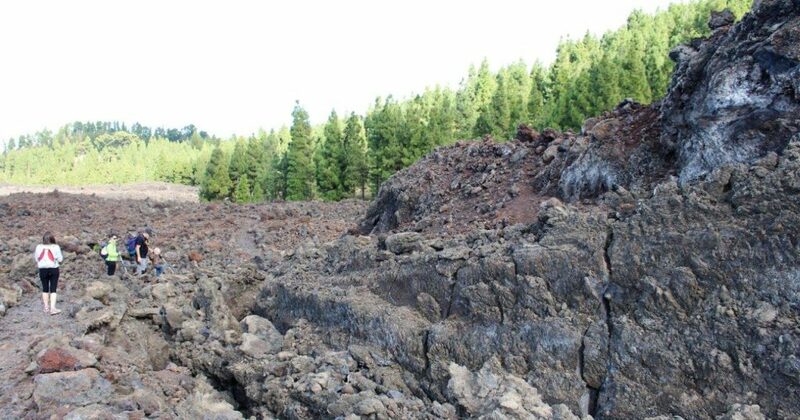 It continued to throw out lava for just under two weeks. 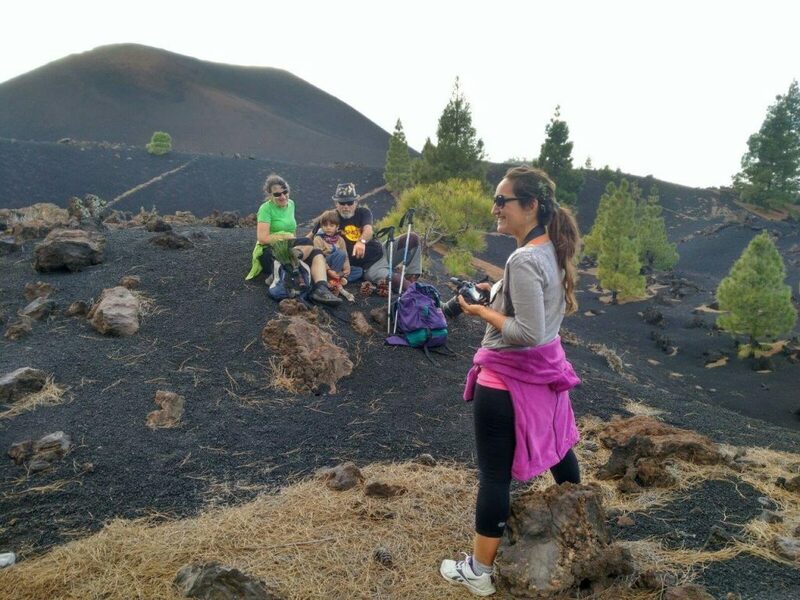 At the beginning of the excursion we climbed a small hill and took photos of the Chinyero volcano. 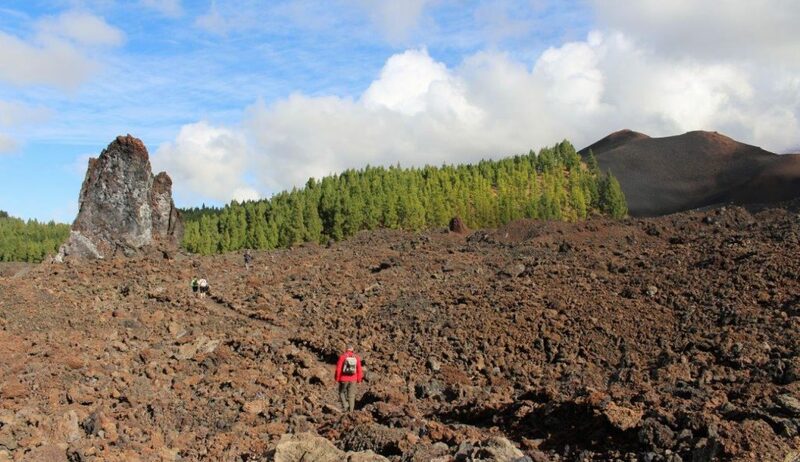 We continued to skirt around the various volcanoes that surround the Chinyero and we literally stumbled upon a lava stream. 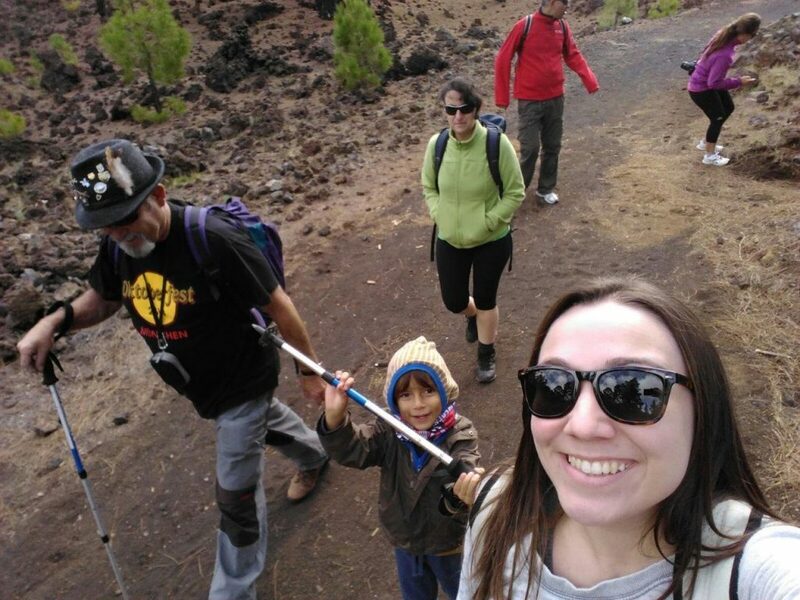 On that part of the excursion granddad Pablo decided to carry Noah in his arms so that he wouldn’t touch the lava accidentally. 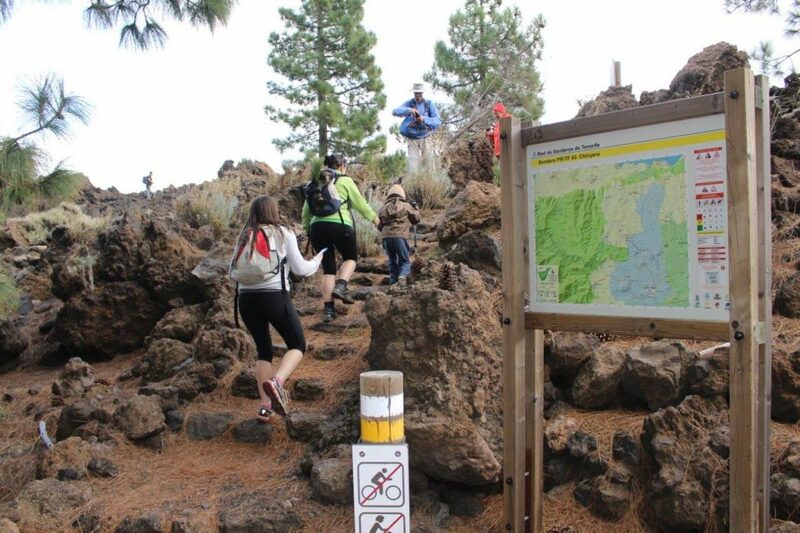 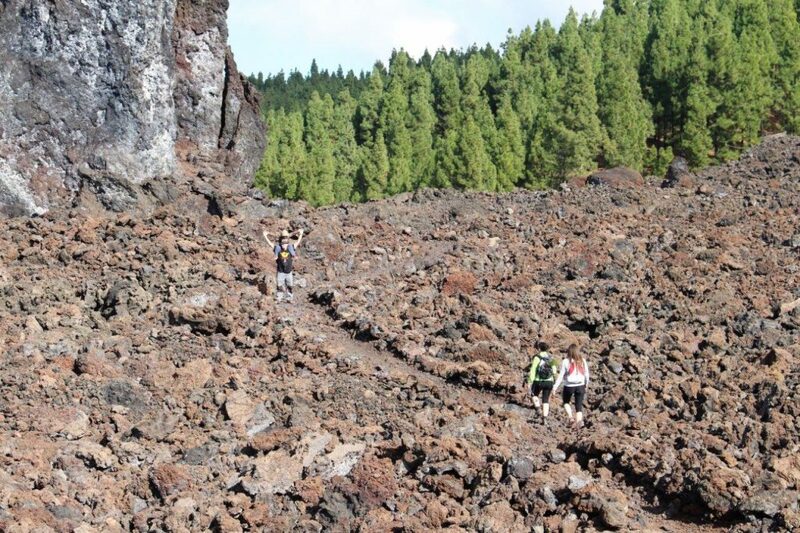 The lava rocks have some sharp edges that could cut the skin if they were to fall suddenly, so we recommend walking very cautiously in those wilder areas. 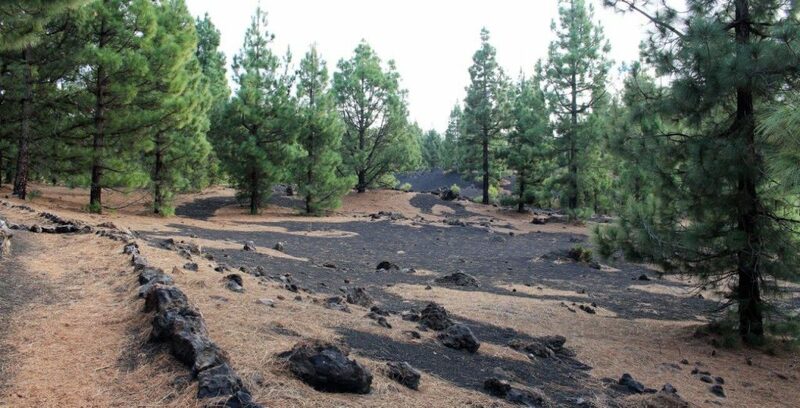 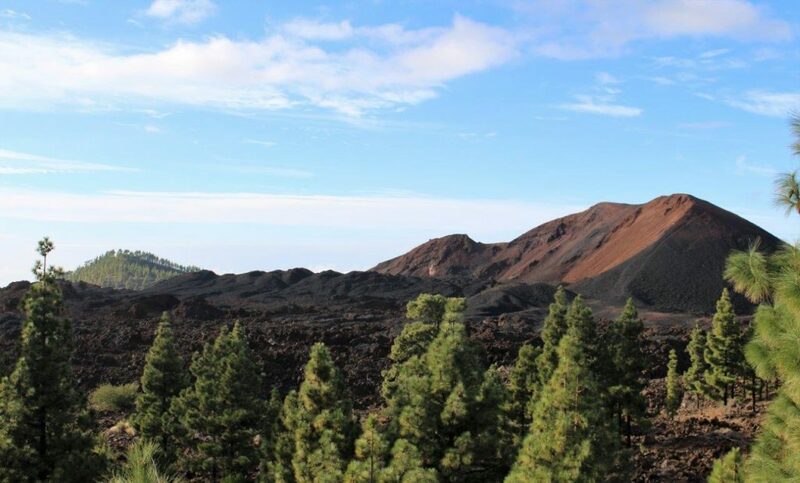 After the lava came the pine forest, and with it the contrast between the black volcanic sand and the dark brown pine needles. 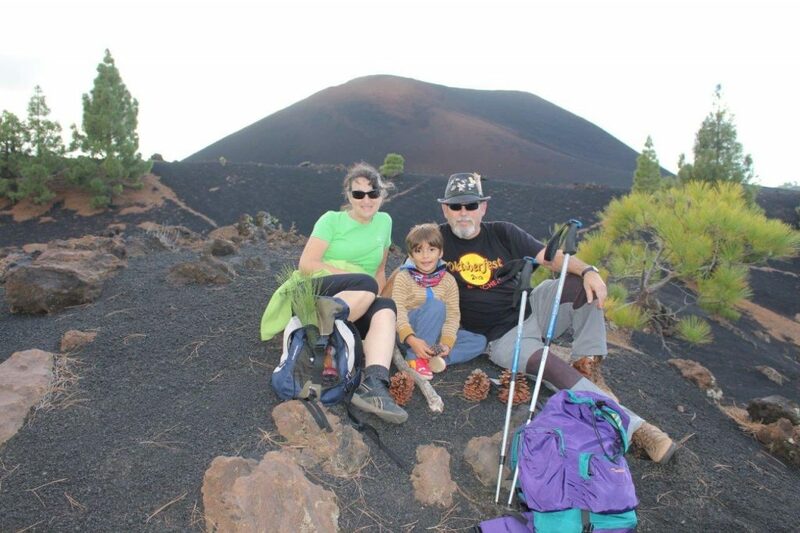 We skirted around the Chinyero volcano, where we were already able to enjoy the backdrop of the sunset. 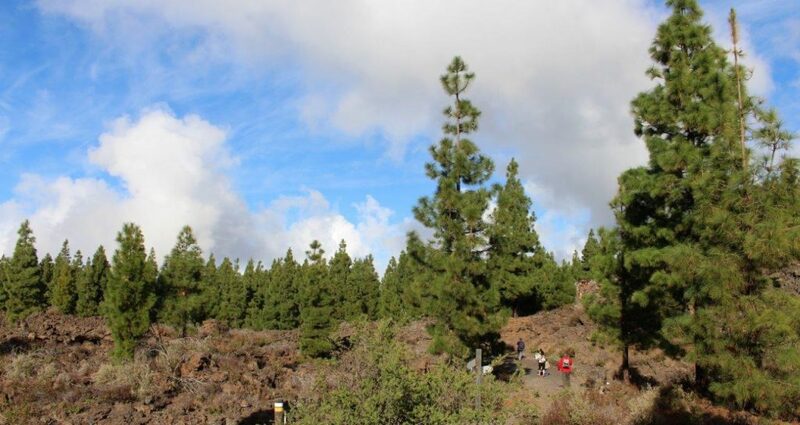 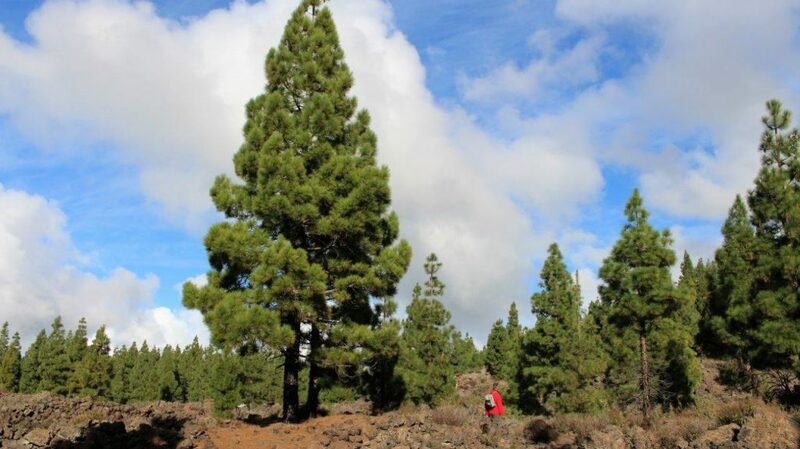 We arrived at a large pine tree from where there’s a panoramic view of the Chinyero volcano. 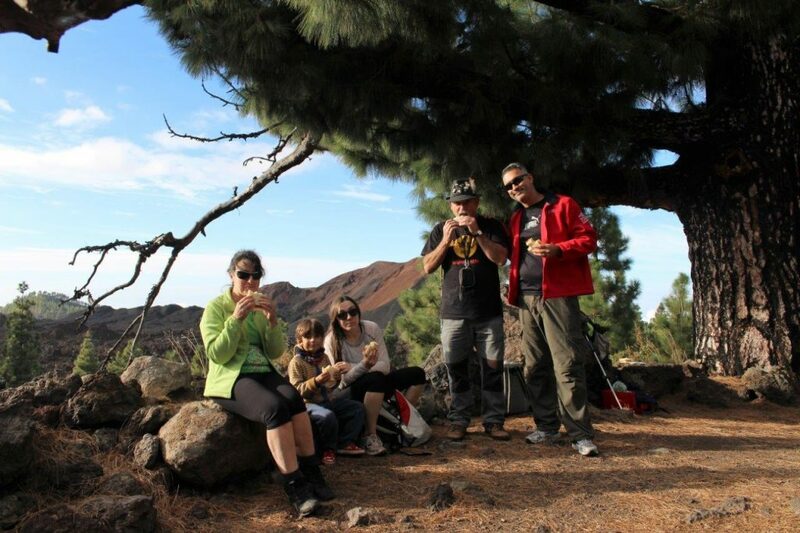 We took advantage of that and ate some sandwiches. 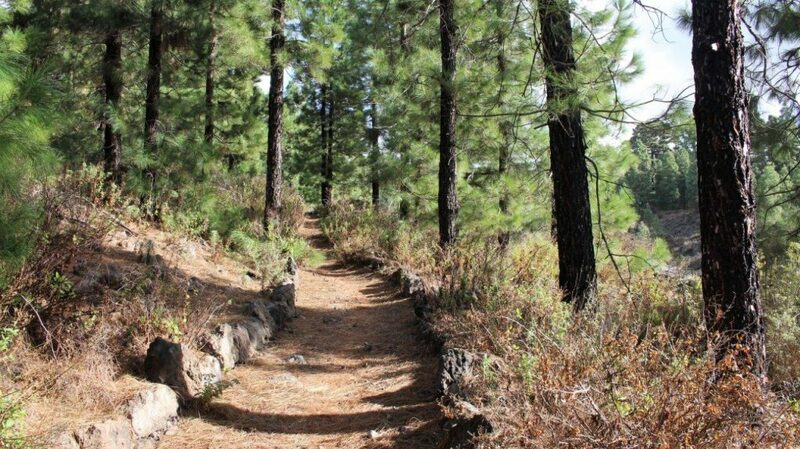 When we finished we walked for about another 40 minutes among pine trees and then we reached the beginning of the trail, near the road. 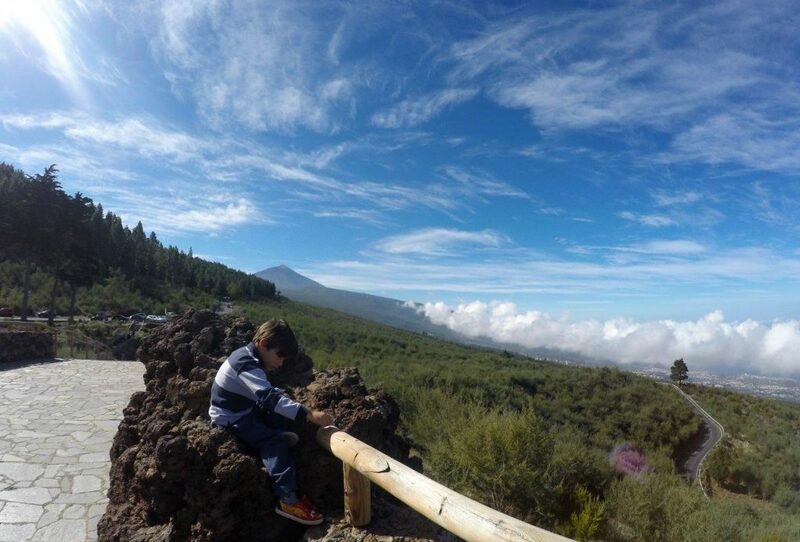 At the end of this little excursion we had the opportunity to enjoy a clear sky and at last we could see the peak of the Teide without clouds.